Earlier this April I travelled what seemed like one of the most desolate places I have seen in Japan: the area around the Ashio Copper Mines. 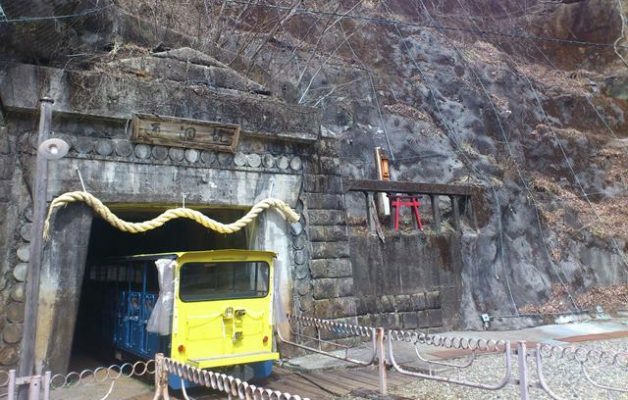 Mining ceased in 1973, and 1980 the mines re-opened as a tourist attraction. In 2017, it looked to me as if even tourism might not have much of a future. The train journey from Kiriu 桐生 through the picturesque Watarase Valley わたらせ渓谷 was lovely; the guard also acted as a tourist guide, pointing out the sights. At the mines, there was everything the brochure promised: the truck into the mountain and the models of mine workers through the ages, along with detailed explanations about the changing technology and working conditions. And on the way out were the inevitable displays of “omiage”, edible and non-edible souvenirs and gifts. But it all had a depressingly run-down look. Mining began in the mountains south-west of Nikkô already in 1610, under the control of the Tokugawa shoguns. 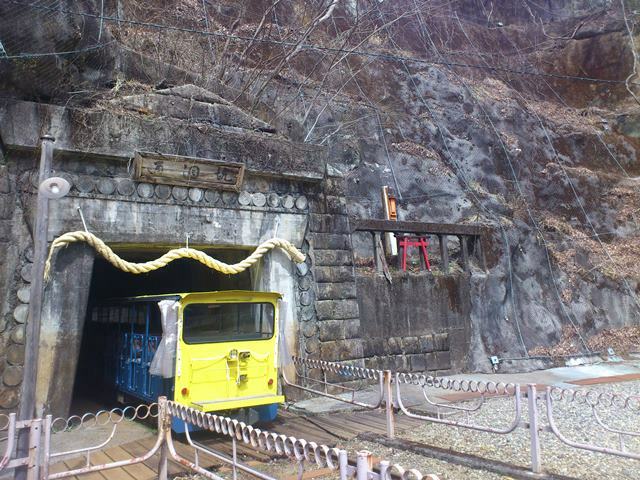 Under the Meiji government the mines passed into private ownership. But it was not until Furukawa Ichibei 古河市兵衛 (1832-1903) bought them in 1877, along with a large area of government-owned forest in the Ashio Mountains that they became profitable again. Production increased from 46 tons in 1877 to over 4,000 tons in 1885. Electrification made the demand for copper wire soar. By the 1890s Furukawa was providing around 40 percent of the nation’s copper, and most of it came from the Ashio Mines. At the same time, however, the destruction of the environment was reaching crisis proportions. Furukawa had the forests cut down to provide wood for refining. The naked soil eroded, causing landslides and floods. Meanwhile, heavy metals were poisoning the river Watarase, which flowed from the Ashio Mountains and through the Shimotsuke plain, joining the Tone River on its way to Tokyo. Already in 1880, the governor of Tochigi prefecture banned all fishing in the Watarase on health grounds; thousands of fishing households lost their income as a result. The water from the Watarase, formerly life-giving as it irrigated the farmers’ crops, now flooded them with deadly poison. It also poisoned the people who drank it. Thus the formerly relatively prosperous fishers and farmers and their families, within a few years, lost their livelihoods and their health. In 1890, 1,000 desperate farmers signed a petition to the governor of Tochigi Prefecture: stop the pollution or close the mines, they demanded. As so often, local and central government officials were slow to respond. But the year 1890 saw another event, a momentous one in Japan’s modern history and one that was to have a major significance in what followed: the country’s first parliament was elected and convened for the first time on 29 November 1890. Among its elected members was a short and thickset man in a shabby kimono, with untidy hair and an unusually strong voice, which he often used to shout at the chairman and deliver passionate speeches. He was Tanaka Shôzô 田中正造 (1841-1913), the representative of Aso district in Tochigi prefecture, and in him the victims of the Ashio pollution scandal found a champion who would devote the rest of his life to their cause.